Add a great sounding and compact tube DI to your rig with the Radial Firefly. This Class A tube direct box is designed for both studio and live performances. 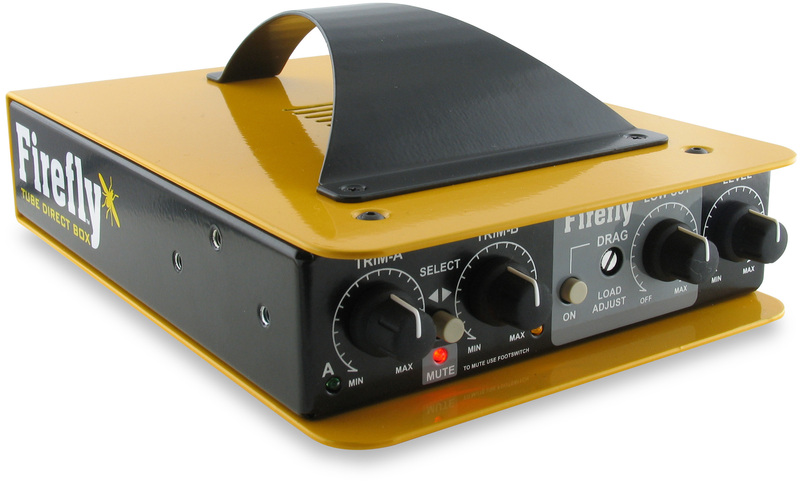 Firefly is a dual input direct box that features a high-pass filter so you can adjust the bass-cut to best match the instrument you are recording. A Drag Control lets you adjust the input load to give you the most natural sound possible no matter the sound source. The Radial Firefly includes a carrying handle for easy transport in studio or it may be rackmounted. Radial's Firefly DI features a front end circuit that is 100% discrete Class A without any circuit stabilizing negative feedback. You'll love the warmth and detail that you get with the unique front end and the Firefly's 12AX7 drive circuit. You want to make sure that your signal load is accurate so you represent the instrument being recorded not an over-exaggerated version of it. 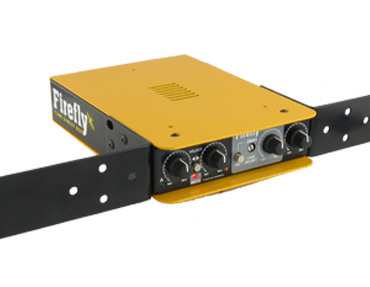 Firefly has a Drag Control that lets you adjust the load to make sure you get a more natural sound when recording. When you bypass the Drag Control the load raises 4 meg-ohms letting you use it with piezo pickups found in acoustic instruments. Look inside the Radial Firefly and you'll find the build quality and components to be of only the highest professional standards. Radial's proven construction methods and materials ensure years of trouble-free service - able to withstand the rigors of the most demanding, high-use professional environments.